Thousands of people have discovered the Truth for Real when they encountered the Words of His Divine Presence Ruchira Avatar Adi Da Samraj. And Truth Itself is the Gift that Avatar Adi Da Samraj Offers to you and to everyone. Avatar Adi Da's entire lifetime--from His birth on Long Island, New York, in 1939 to His Passing in Fiji in 2008--was devoted to Communicating the Truth to others. He Offers His full Communication of Truth in the many books of His Reality-Teaching. Taken together, His books offer His complete Revelation of the Way He Offers to all--the Reality-Way of Adidam Ruchiradam. 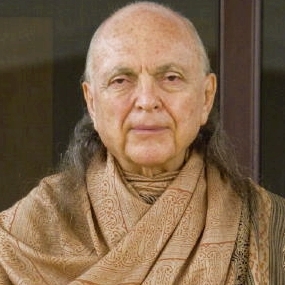 All of Avatar Adi Da's Words are an invitation to consider the Truth of Reality. And, even more than that, all of Avatar Adi Da's Words are an invitation to enter into a real and profound Spiritual relationship with Him--for He always said, "I Offer you a relationship, not a technique." And that relationship is just as potent and transformative now as it was during His bodily lifetime. Many who have started by reading Avatar Adi Da's Words have gone on to enter into this relationship as His formal devotees, practicing the Reality-Way of Adidam. And they have done so because they made the most amazing discovery of their lives: Avatar Adi Da Samraj is not merely a highly developed human being. He is able to speak the Truth for Real because He Is Himself the Living Divine Truth, Who Appeared on Earth in human form. In other words, He Is Reality Itself, the Very Truth of Existence--Having Appeared bodily for a time in our midst, in order to Reveal to all the Way to Realize Perfect Freedom. Avatar Adi Da Samraj does not ask you to merely believe this about Him. Rather, He invites you to enter the Sphere of His Blessing--by freely considering His Words, and fully feeling their impact on your life and your heart.